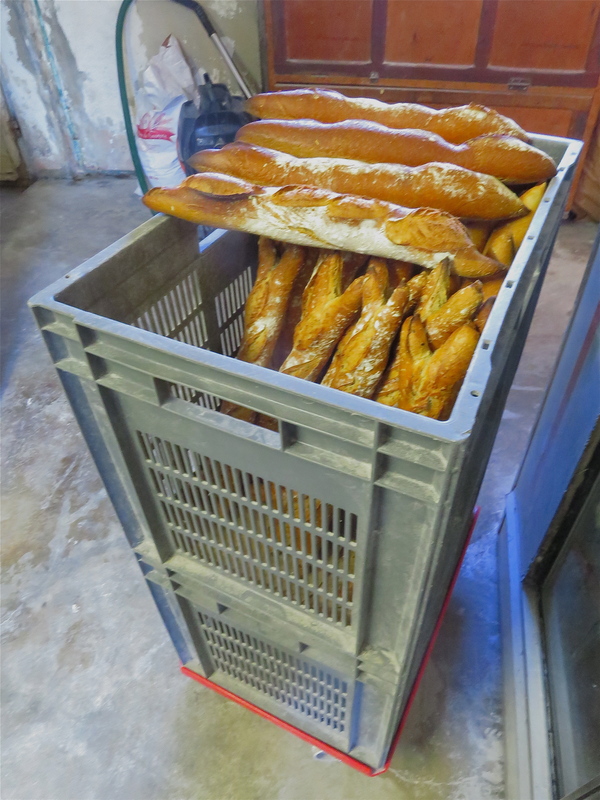 How lucky you are indeed to have such a master baker in your village as unfortunately an enormous amount of “traditional” French bread is now made industrially and trucked in frozen under cover of darkness to be reheated and sold as made on the premises. 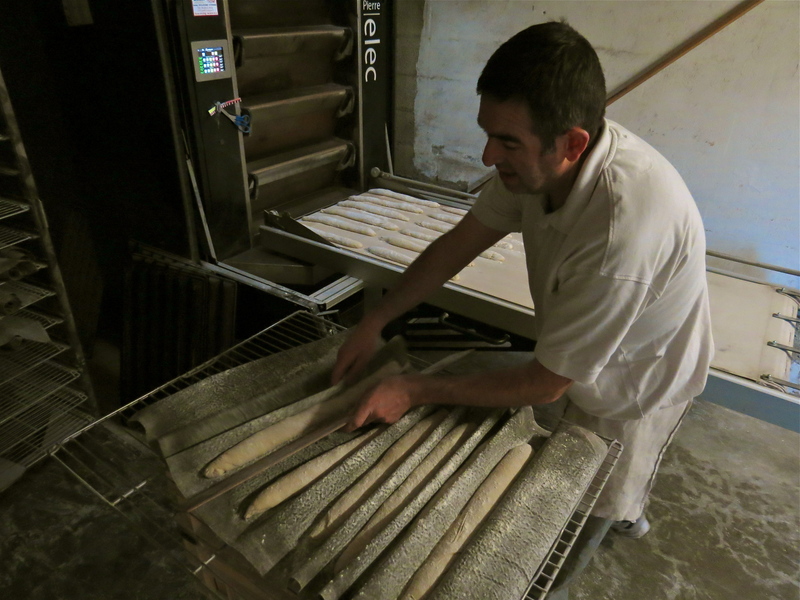 I love this tour of your boulangerie, I can’t even imagine how any one single person can produce so much bread. Does he not even have someone serving in the shop to help out? What sort of size is your village? I’d beinterested to know how many people the 300-400 loaves feed. What a lovely post to link up to #AllAboutFrance, thank you. Hi Phoebe, glad you liked the post. Our village is about 650 people and there is another village a kilometre away which does not have it’s own bakery so I would imagine quite a few people come from there too. His wife and Mother sometimes help out in the shop, his wife holding their latest addition, a baby girl! Love your snippets of village life, I want to come and visit the bakery it sounds lovely. Thank you for an interesting story. Loved it. I am sitting here in Lebanon Mo USA enjoying reading about your life in your French village. Thanks for sharing. Such a wonderful baker to have! Thank you for a chance to meet him. Ha ha, you have a soulmate!!! Thank you, I am so glad you enjoyed it. It truly is a craft and I now have a a great deal of respect for the humble baguette. Wow! How interesting. 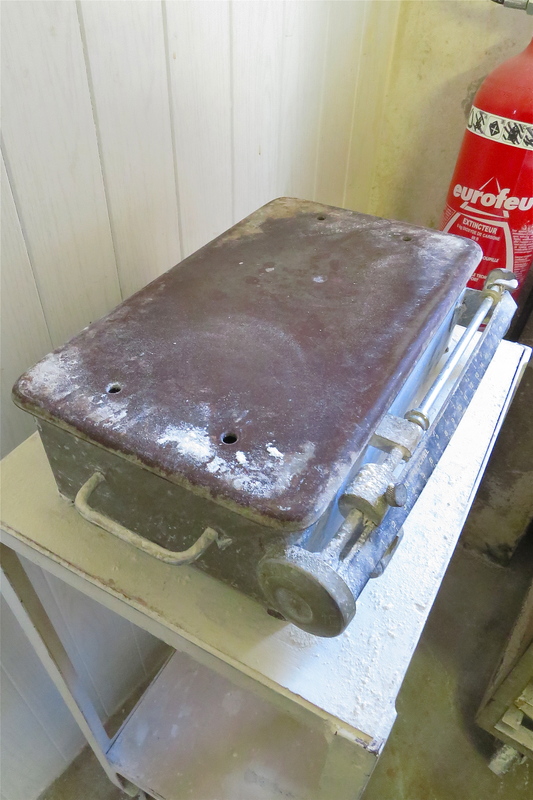 And what a find – that you have a master bread maker in the village. thanks for all the pictures as well. Its the sort of thing that I love – knowing the ins and outs of things. I look forward to more! Hi Sally, I am so glad you enjoyed it. It was utterly fascinating and I am so looking forward to getting behind the scenes with other local artisans over the coming months, there is so much I don’t know about so much I take for granted and I look forward to sharing my discoveries. Such a beautiful story! Indeed you are lucky to have such a talented and thoughtful “craftsman.” I loom forward to your next story! 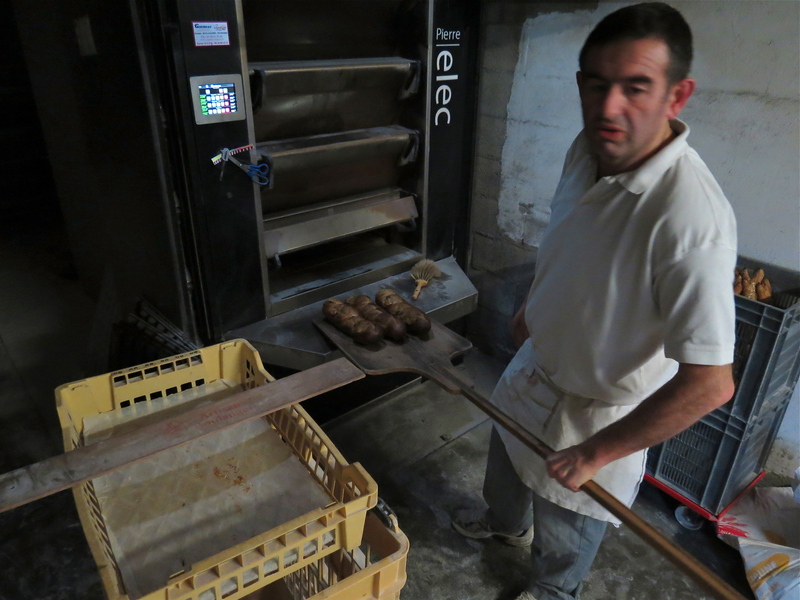 Thank you Tamara, we were so grateful that the baker took the time to invite us to see how he works, it was a fascinating couple of hours and one we thoroughly enjoyed. 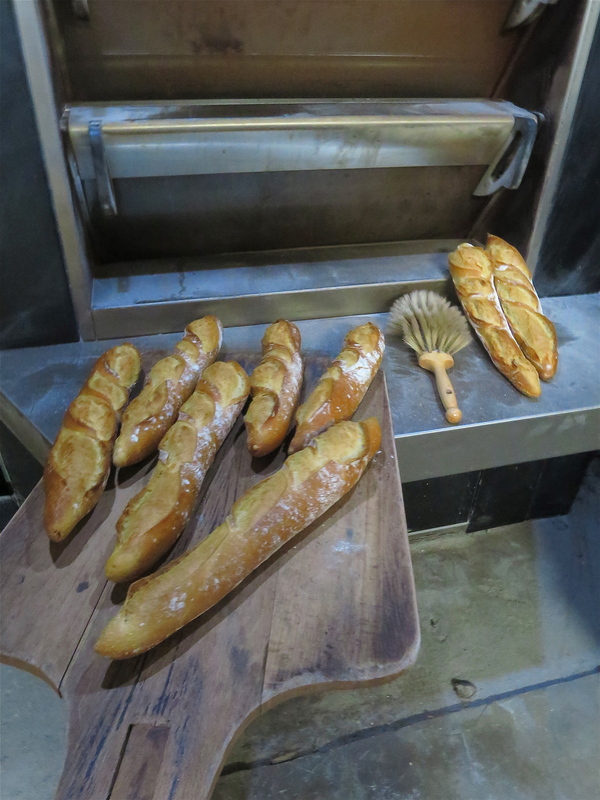 The boulanger has always been such a mystery to me – thank you for so beautifully explaining their days, techniques, and hard work! It’s incredible how much care and detail the bakers put into their craft, and how awesome for your village to have such an experienced and prominent craftsman in your own neighborhood! Looking forward to your other artisan posts, what a great idea! Thanks and so glad you liked it. 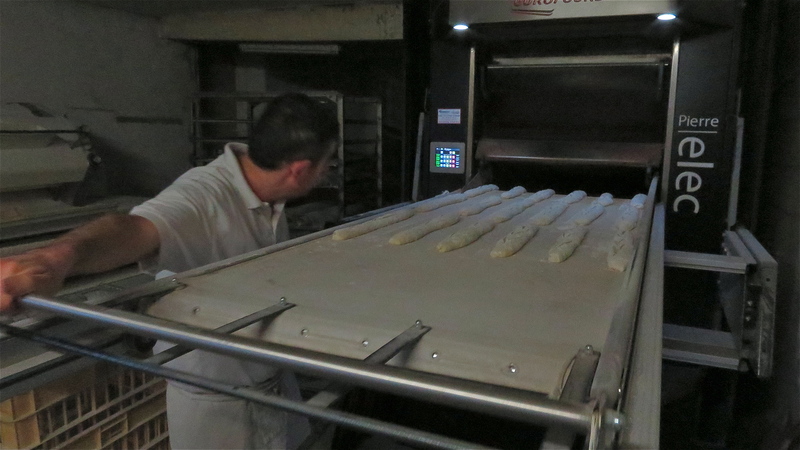 It was truly fascinating for us too, to learn so much and see him at work, I have a completely new found respect for the humble baguette now! Thank you so much for sharing this. I am so glad you enjoyed it. It was truly fascinating for us too and we felt very privileged to be invited to see our baker at work and to learn so much from him. Oh how my stomach is yelling at me to hop on a plane and go back to France. My stomach enjoyed that trip 14 years ago so much. 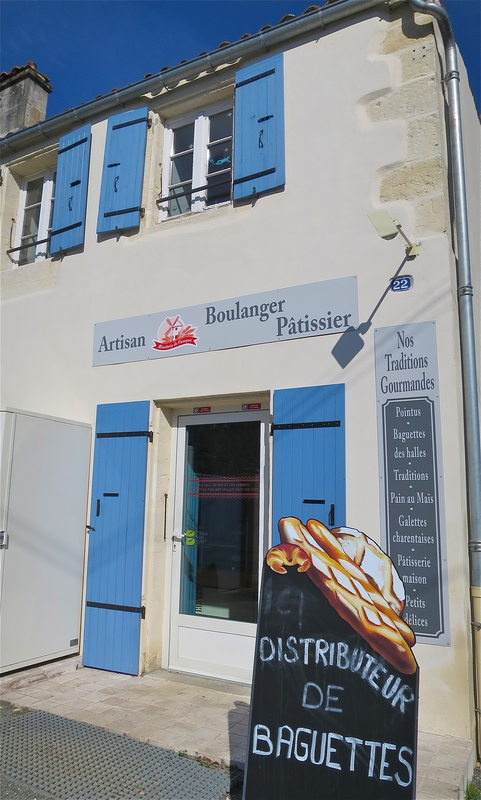 And how I wish we had boulangerie here in E. TN we have a creperie that is pretty fantastic. Thank you for you sharing! What an interesting read. 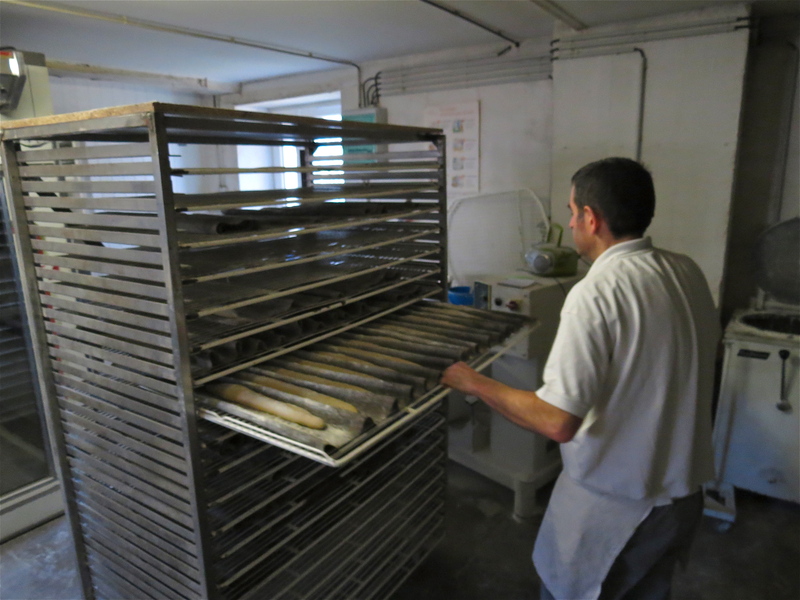 So interesting to see behind the scenes and to think that the baker in our village boulangerie must be doing all that too. I’ll watch out to see which other artisans you’ll be talking too. What a great post! 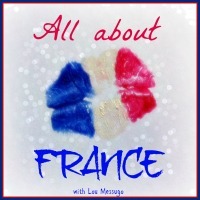 I have just found your blog via the Good Life France, and have now subscribed. 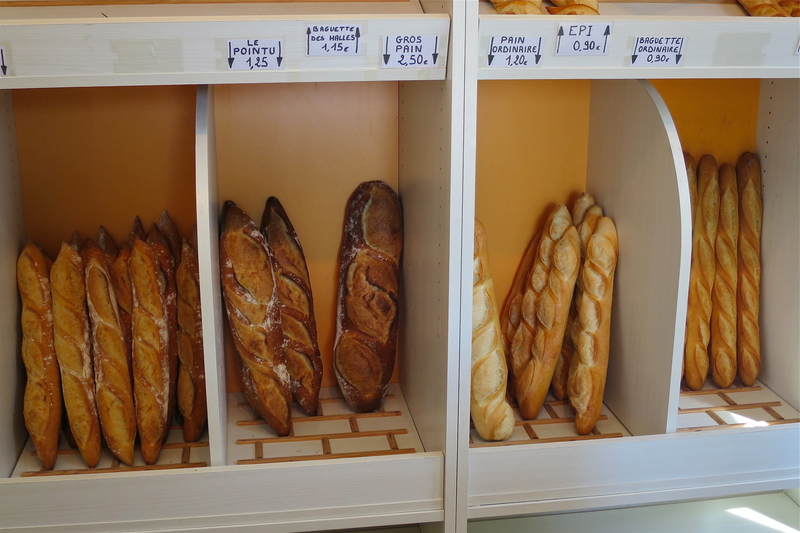 I lived in France (Poitiers) for a year about 5 years ago, on a teachers’ award, and honestly, the daily bread was an absolute highlight! I love the area you live in, and will look forward to future posts. Hi Alison, so glad you found the blog and thanks for following. It is such a lovely area which is why I felt compelled to write about it. I wonder if you found the teaching very different here, people say it is very old fashioned compared to either the USA or UK. Our children seem to adore it though! To be honest, yes, it was somewhat old-fashioned compared to here in New Zealand. Very little IT stuff happening, for example. (In my school, anyway.) I had a lot of resources on a memory stick and they weren’t much use….. Having said that, the teachers and students were just lovely, and I managed quite well using a few resources such as good old Kiwi tea towels! How interesting, we were in NZ for two years, in Kerikeri, lots of IT and Enterprise classes. To this day the children still hardly ever wear shoes outside, thanks to their time in NZ! There is very little encouragement to think outside the box here, it is far more regimented. I wonder what you did with tea towels – the mind boggles!!! Where are you in NZ? I’ve been in Auckland for 11 years now, after 30 years in Nelson. Kerikeri is lovely! Re the tea towels – lol! I had one with a map of New Zealand and one with a picture of a kiwi. So I just used them as visual aids when I was giving wee talks! (In English!) I had a scenic DVD and a few other bits and pieces as well. Good memories. Thank you. 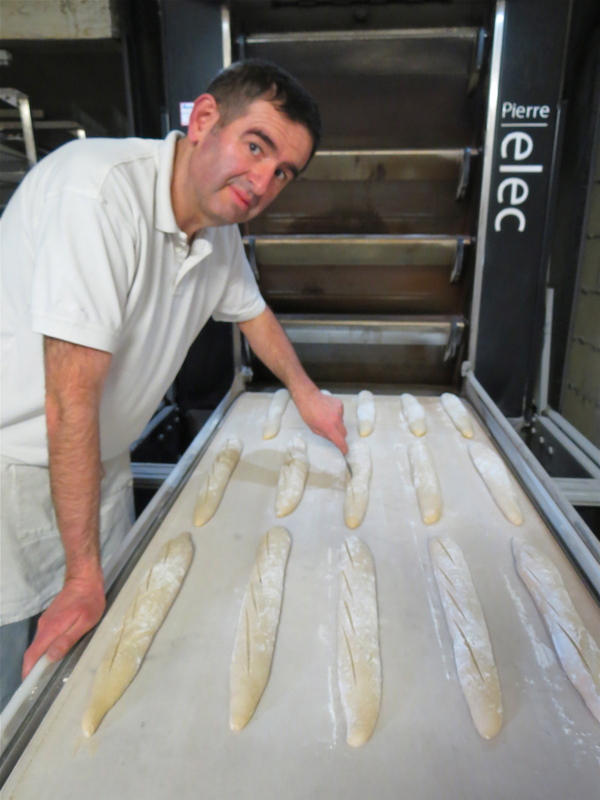 He is passionate about what he does, a true craftsman and a true gentleman, it was such a fascinating morning, we learnt so much about the humble baguette! Ha ha, no we didn’t eat it, both are still on the plate!!!! What a fascinating post, and such a lovely tribute to your local baker. Not that many young people are willing to follow this arduous path, although we have friends whose son is becoming a baker and loves it! Loved this post! And…I love bread but don’t eat much of it anymore. What a lot of dedication that man has to do that very physical job and do it over and over and over again! Does he actually NOT bake on the weekends? I can’t imagine how he even takes one day off. 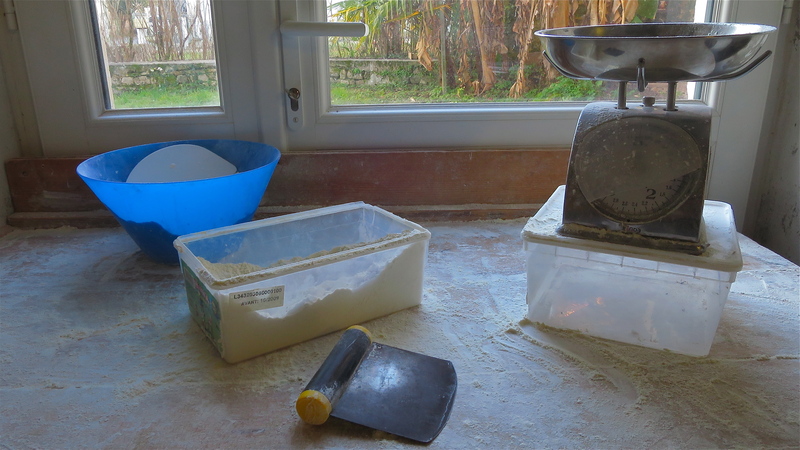 Many years ago my hubby and I ran a bakery for a very short time and found out how terribly much work it is and how it totally disrupts family life. We stopped baking (commercially) and never looked back. I often think about what people had to eat in years past and of course I know bread played a major part, as did and does pasta, especially when there was not anything else to eat but flour, salt, if they were fortunate, and water. It’s a miracle thing, actually, bread. I wish I could eat it all and every day!